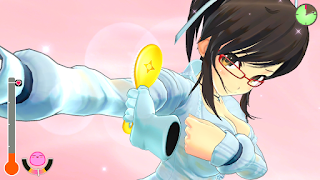 Early on in the Switch's life, Kenichiro Takaki, the producer of Senran Kagura, wondered about making a game using the enhanced rumble. 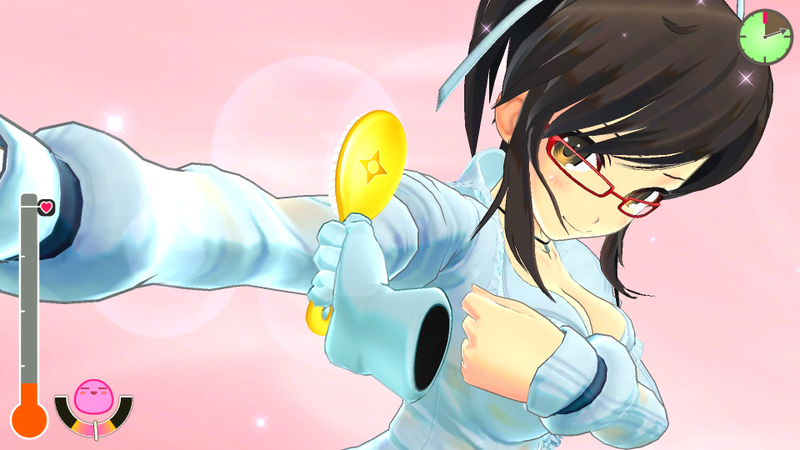 Fans of the series dreamed about what would come next...and then we got Senran Kagura: Reflexions. If you have ever messed around in the Dressing Room feature in any of the other SK games, then you will have a good idea what this game is all about. Except now there's dialogue to go with it! Asuka will talk to you, then you will message a part of her hand. Depending on which part she responds to, and which part you rub, you are then taken to one of the game's "arcs". 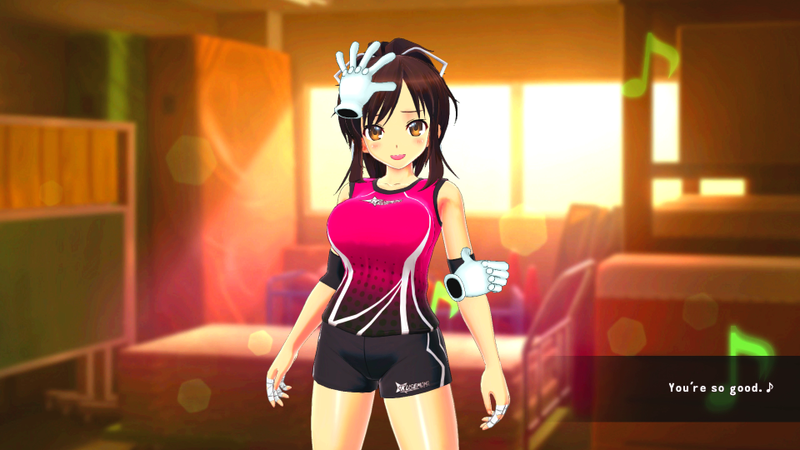 Asuka will be dressed appropriately for the arc, and ready for you to practice your reflexology on her body. Yes, you read that right. There are two main actions in the body reflexology, squeezing and touching. Well, there's also caressing and using the water gun, but they don't seem to do anything. I take that back. The water gun mode lets you rotate Asuka around, so you can touch her back. Not really a function that needs to be tied to it, but it is. Anyway, you will poke or grab various parts of her body. When you do, a colored circle will appear. Getting more and more of any color will be reflected the background effect. Once you've done that enough, you can use a tool to...message her. As you go through the arcs, you will eventually earn all 4 different tools. Once it's time, just select one and go. Each has its own mini-game that rely on the same principle. Keep Asuka's happy meter in the right zone, which increases the heart meter. The trick is to keep it in the right range, as doing something too long or too...um, hard, won't work. If you get the heart meter to the specified level within the time limit, you win! And by "win" I mean fill her heart crystal more. Then back to the hand reflexology and repeat until the crystal is filled. You will need to do this at least five times to fully fill the crystal. Both reflexologies can be done with motion controls or the controller buttons. The motion controls are fairly responsive. Half of the motions felt appropriate, while the other half didn't feel like they were mimicking the actions they were trying to. I pretty much stuck to using the controller sticks and buttons, as they were a lot more reliable to succeed in the mini-games. It was a lot easier for me to find the rhythm when using the sticks. I would encourage players to try both, as the motion worked better than I would have though, and was fun for some of the mini-games. The crystal fills with whatever color effects you had when going into the mini-game. Mixing colors will change the overall crystal, and whatever color it is when it is fully filled, that's the ending you get. That's good in theory. In practice, the endings aren't really that different, just different dialogue. The main reason to end with each of the five colors is to get the "true" ending, which unlocks the second main menu picture. Other than that, getting all five colors in an arc will unlock that costume. 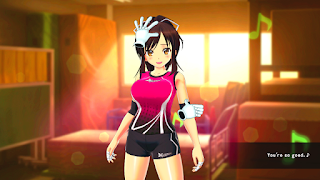 As for other things to do, there is the mini-reflexology, where you can just squeeze and touch Asuka in the classroom, and it won't go to the mini-game. It's easiest to dress her up in the various outfits here as well. If you want a more static experience, Reflexions also has the dressing room option. This is where you change Asuka's hair, accessories, and outfit, plus it allows you to put her in various poses. It wasn't something I used very often in the main games, and that hasn't changed here. Well, Senran Kagura: Reflexions sure is an interesting idea, if not a bit creepy at times. It does feel more like a tech demo to me, since it relies on the motion controls and vibration for most of the interesting bits. Otherwise, it's pretty much the stuff you can already do in the dressing room function of the other SK games. Those also have the added benefits of more (and better) girls and outfits. While you will be able to buy other girls as DLC at some point, I'm not sure it's enough to make me go back to the game (unless there's Murakumo DLC). There isn't a whole lot to do, but at least the price reflects that. Interesting use of the motion controls and the vibration function. Making a stand alone game out of a rarely used menu section of the normal games doesn't automatically make it good. The "big brother" arc is of course creepy, but the idol one ("Oh, Mr. Producer!") also feels a little uncomfortable in today's world.